I have many fond childhood memories of helping my mom making Amish Cinnamon Bread. While it was fun, it was a never-ending process, adding this ingredient and that ingredient to bags of dough and baking bread once a week. Eventually, it would get exhausting and we would stop making it. Recently, I stumbled across a quick version of the recipe. I was excited to be able to make the bread again without having to wait a week, adding and mixing and repeating it all over the next week! 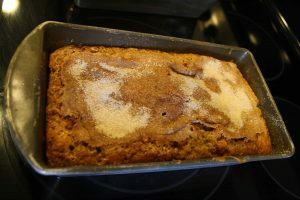 The result was just what I was hoping for: the distinctly sweet flavor and moist texture of Amish Cinnamon Bread without all the work! It made a delicious breakfast for the next few days; I just warmed up a piece in the microwave and ate it with my morning coffee. In a small bowl, mix together the 1 cup of sugar and cinnamon. Butter or grease 2 loaf pans. 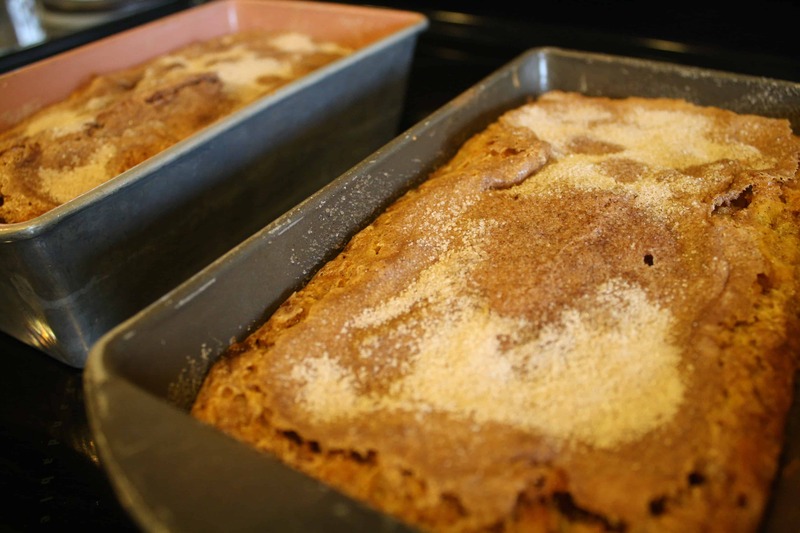 Use some of the cinnamon sugar mixture to coat the pans. Next, cream together butter, 2 cups of sugar, and eggs. Mix in the milk, flour, and baking soda. Pour ¼ of the batter into each loaf pan. 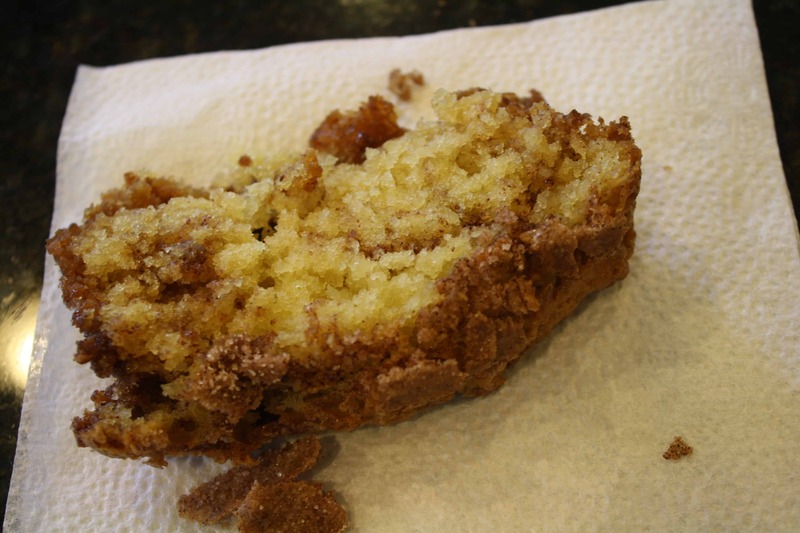 Sprinkle about half of the remaining cinnamon and sugar mixture on top of the batter. Add the rest of the batter to the pans and sprinkle the rest of the cinnamon sugar mixture on top. Bake at 350 degrees for 45-50 min. or until toothpick tester come clean.